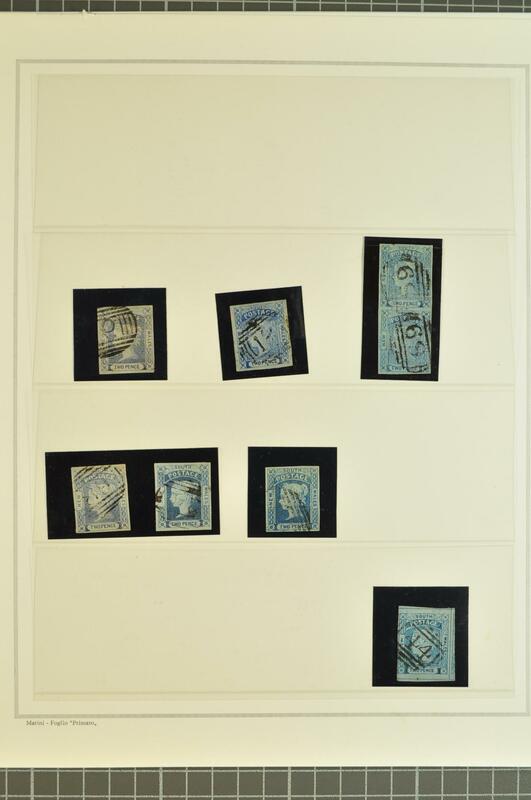 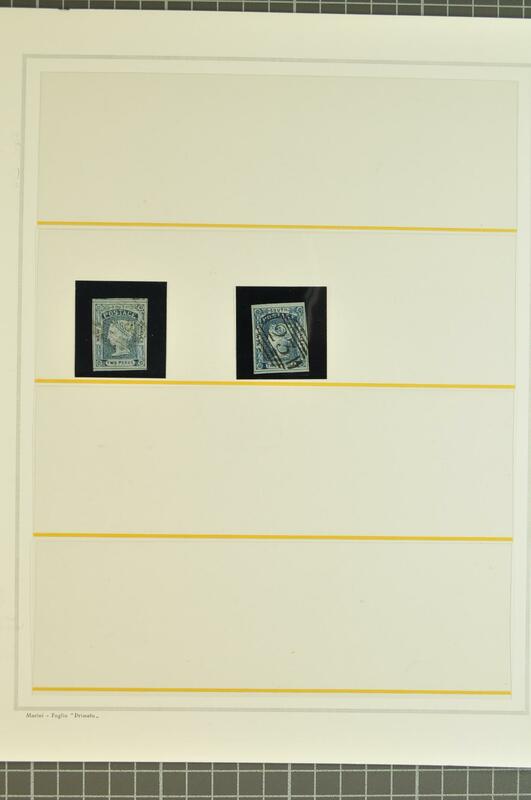 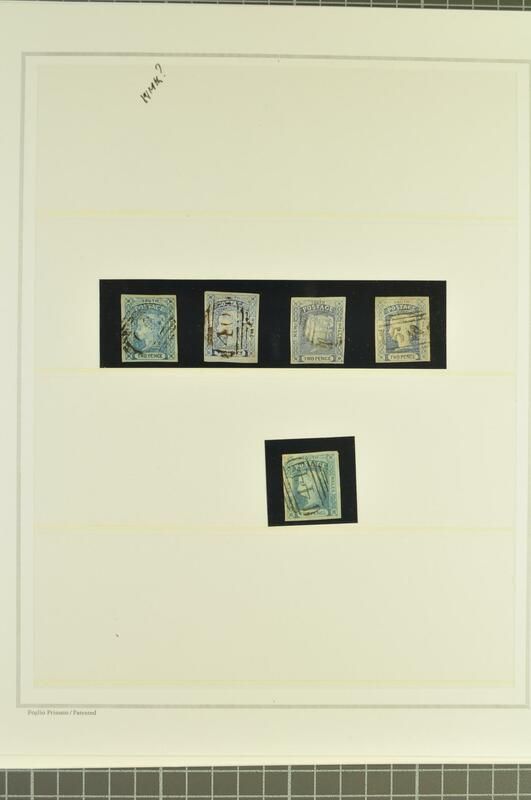 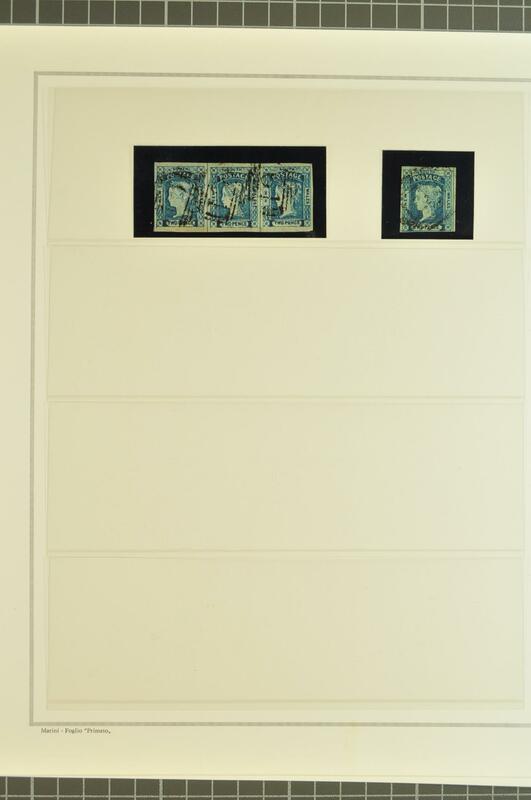 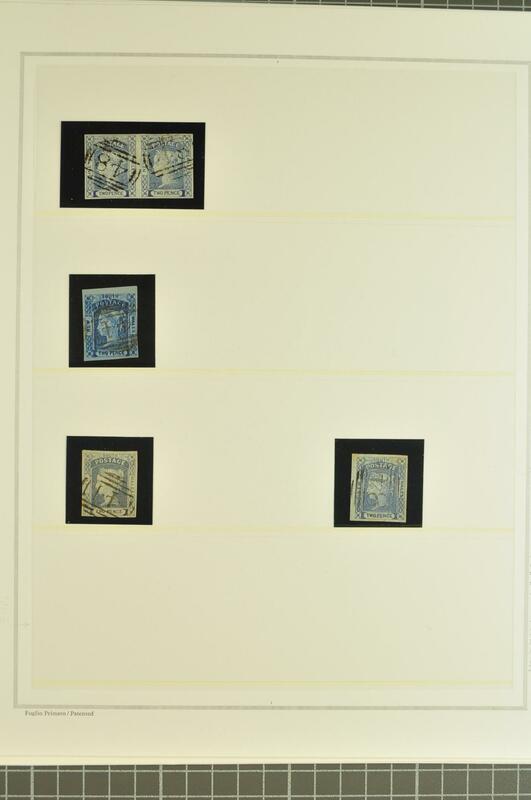 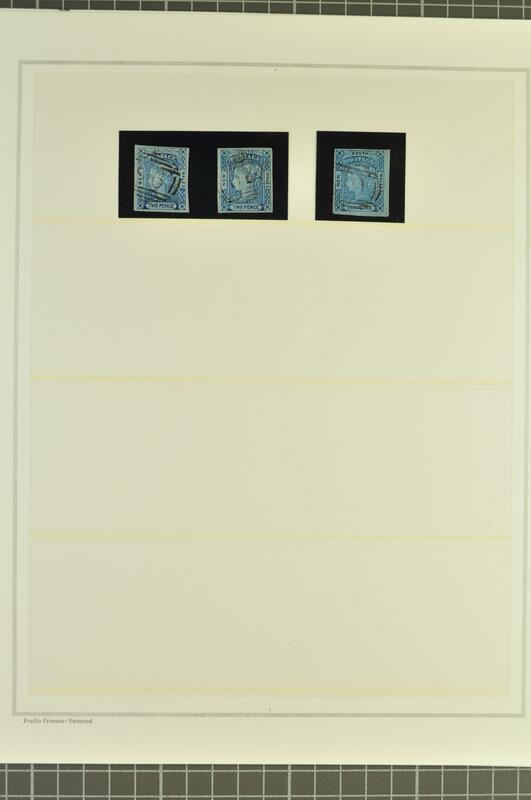 1851/55: Laureated issue, the used range on leaves with 2 d. blue (shades) with Plate I single examples (11) including a vertical and a horizontal pair, examples from the Worn Plate with single used examples (8), Plate II with single examples (2, one with superb '23' of Wollongong); 1854 wmk'd. 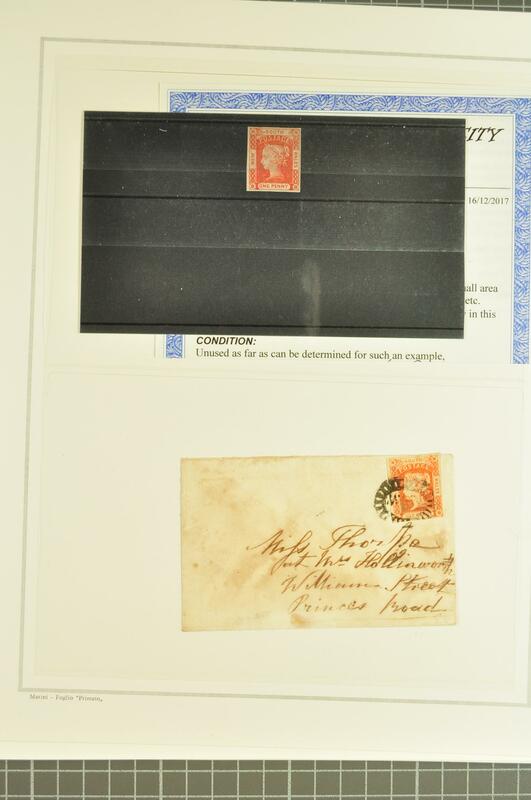 1 d. orange-red on 1856 local cover, Plate III 2 d. ultramarine singles (2) and a used strip of three-this last being ex John Boker-and a single 3 d. yellow-green. 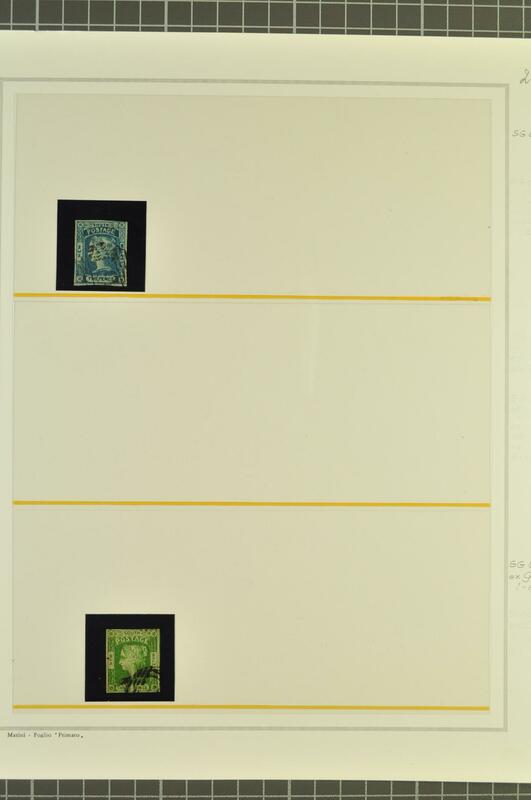 A delightful group (27 items).